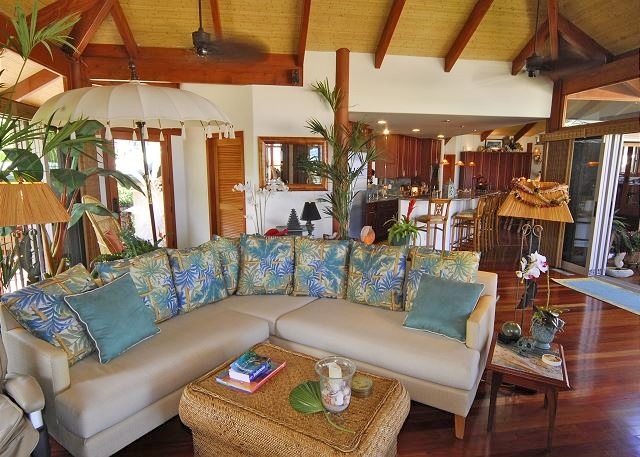 Puako Beach Villa – Luxury Vacation Homes, Inc. 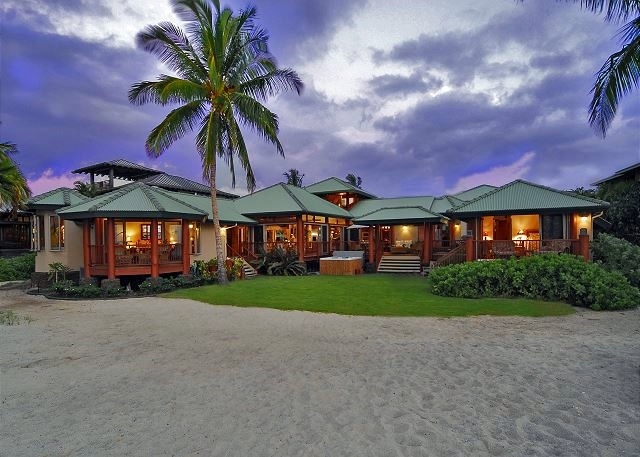 Situated in one of Hawaii’s oceanfront communities on the sunny Kohala Coast, The Puako Beach Villa offers the ultimate luxury retreat. 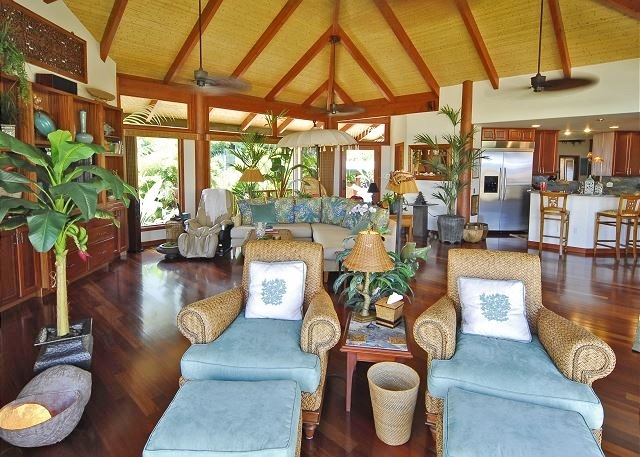 This custom Balinese-style designed home offers a unique floor plan covering over 4000 square feet of living space. New swimming pool and hot tub for 2017. 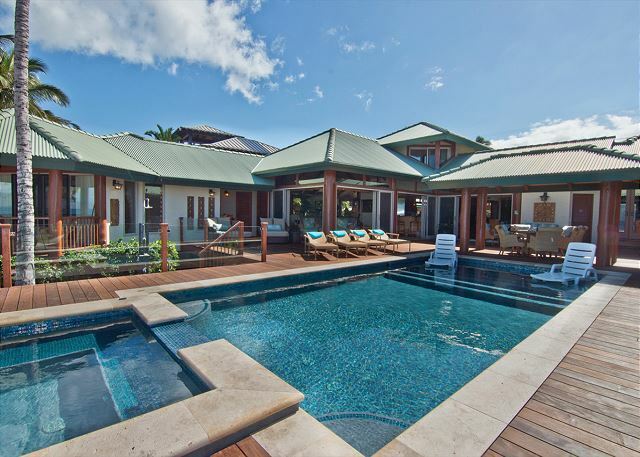 Three master suites plus a detached Ohana apartment accommodates up to 10 people comfortably in this luxurious, contemporary home. 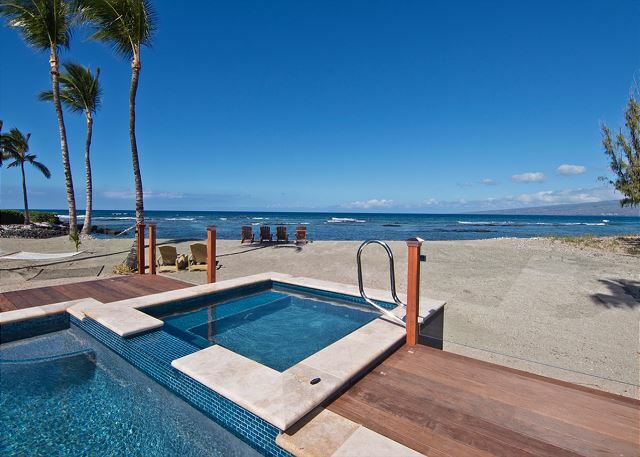 All suites offer private entryways and incredible ocean views. 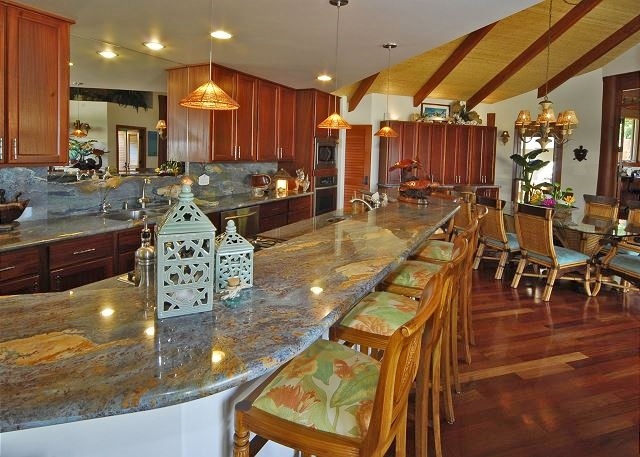 The property is rented as a complete home, and the suites are not available individually. 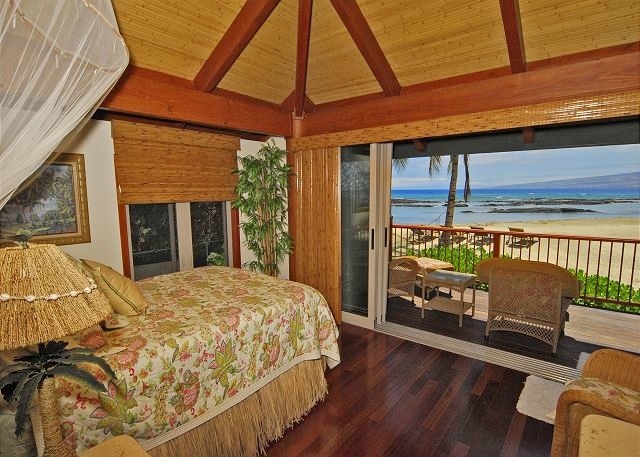 The Hula Suite is located ocean front, has a king bed with private bathroom including a soaking tub. This suite is suitable for two people. 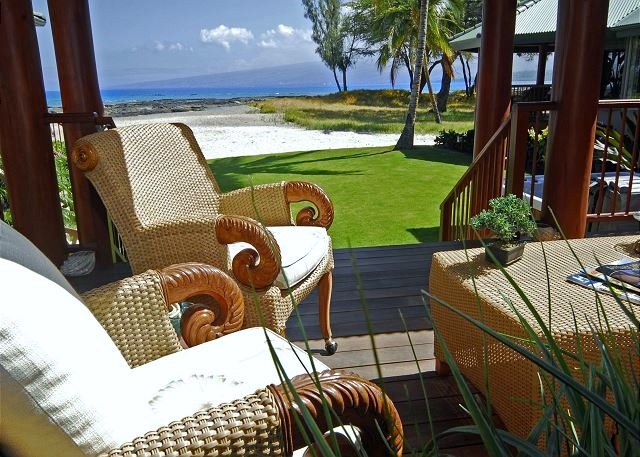 There is a private lanai and entry. 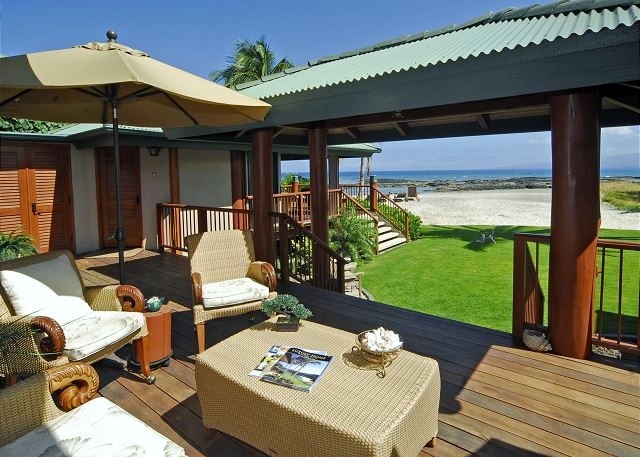 The Mango Suite is located ocean front with one queen bed accommodating two people, with private bathroom, soaking tub and over-sized shower. 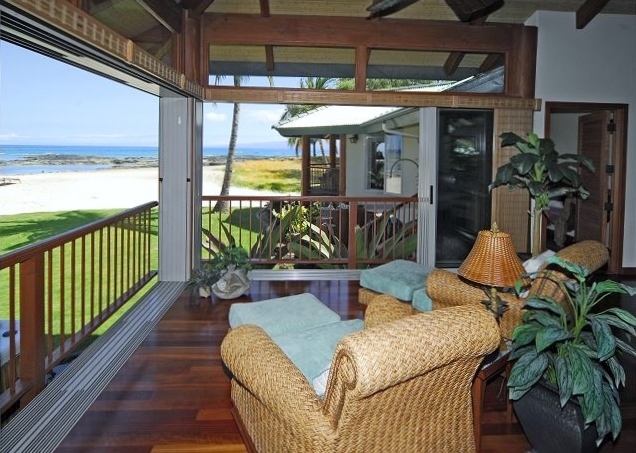 This suite has a private lanai and private entry. 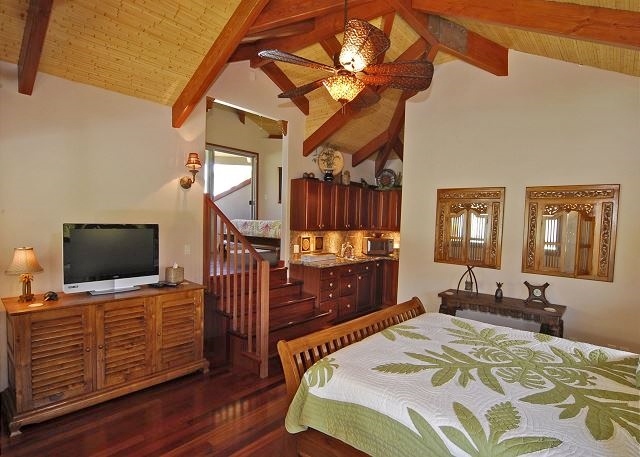 The Plumeria Suite is a split level with one king bed on the lower level and one queen bed on the upper level. This suite accommodates 4 people and has a kitchenette. 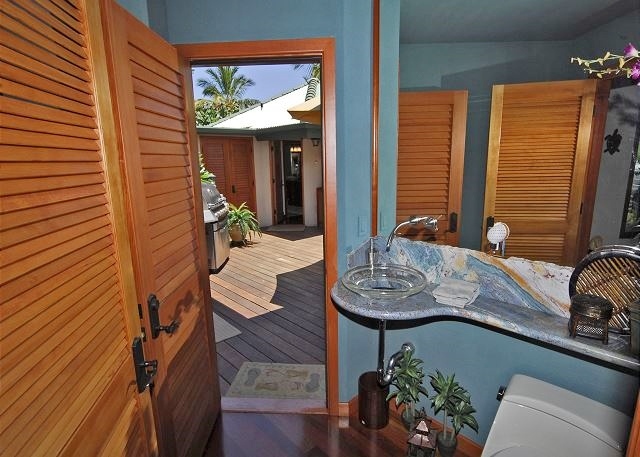 There is a bathroom with shower and its own balcony/lanai with ocean view. 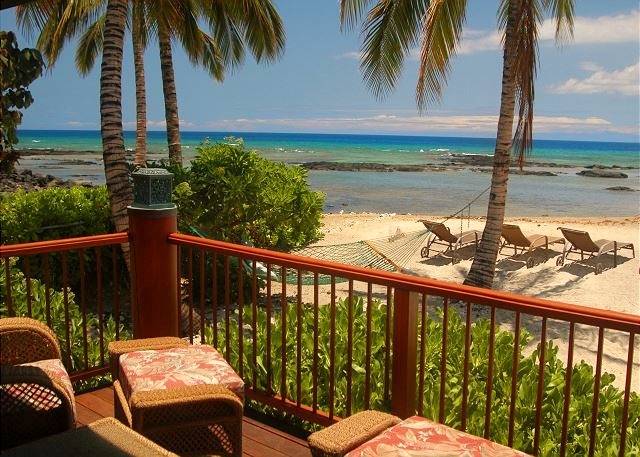 The Ocean Ohana apartment is detached from the main house, has a king bed, full kitchen, ocean view, private bathroom with shower, as well as a private lanai. 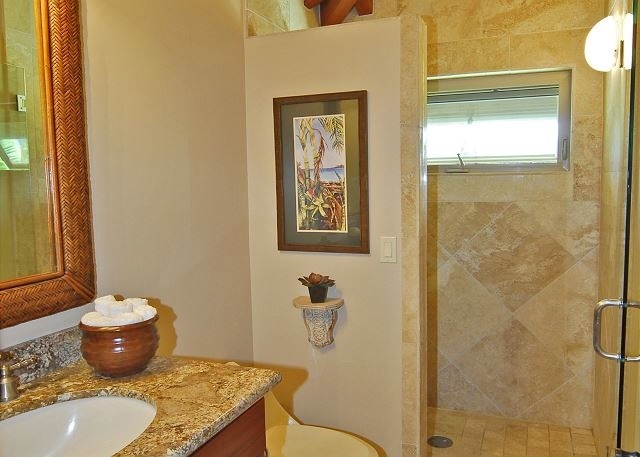 Relax and rejuvenate each evening with a glass of wine or enjoy a soak in the hot tub under the stars. 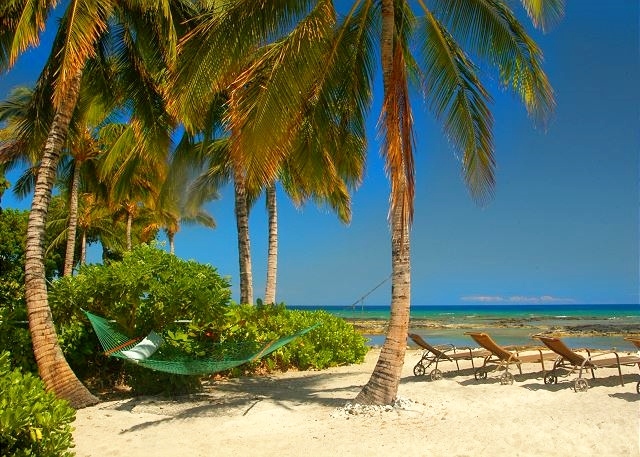 Beach gear as well as an outdoor shower are just a few of the many amenities. 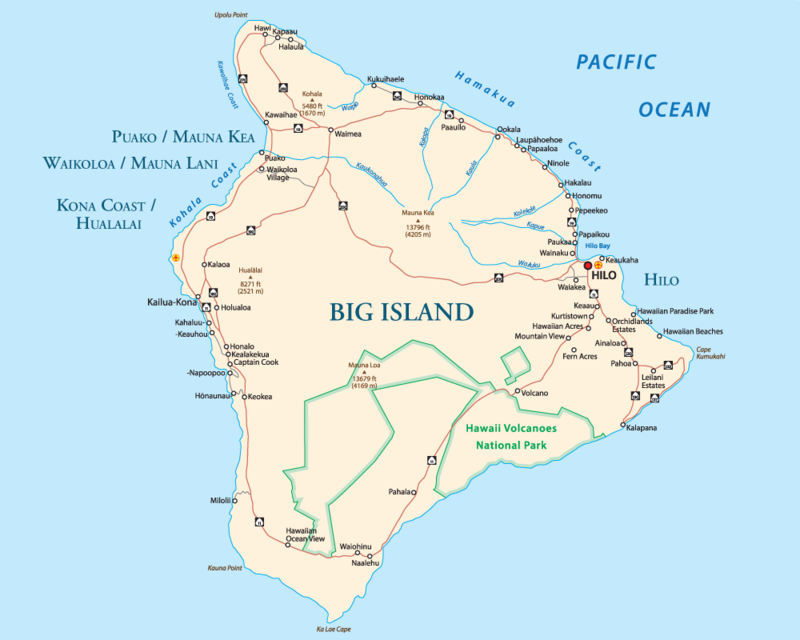 World class resorts with dining, shopping and golf including the Mauna Kea Beach Resort, the Mauna Lani Resort and the Waikoloa Beach Resort are just minutes away. 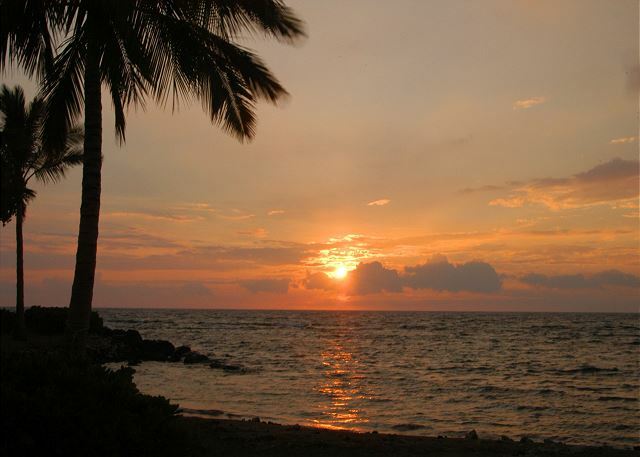 Explore Kailua-Kona, just 30 minutes to the south. 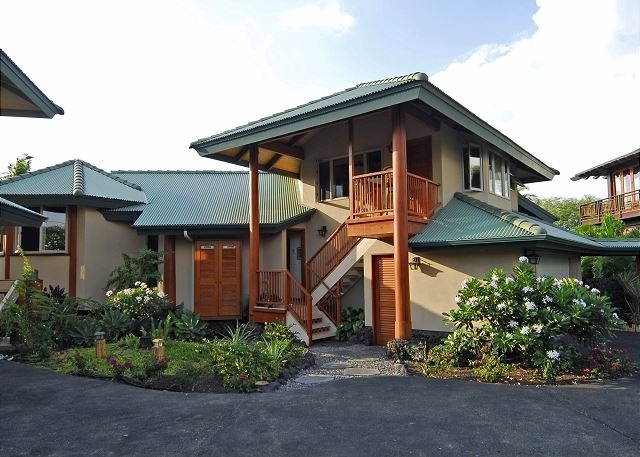 Or enjoy the cool, upcountry of Waimea Town, a mere 20 minute drive. 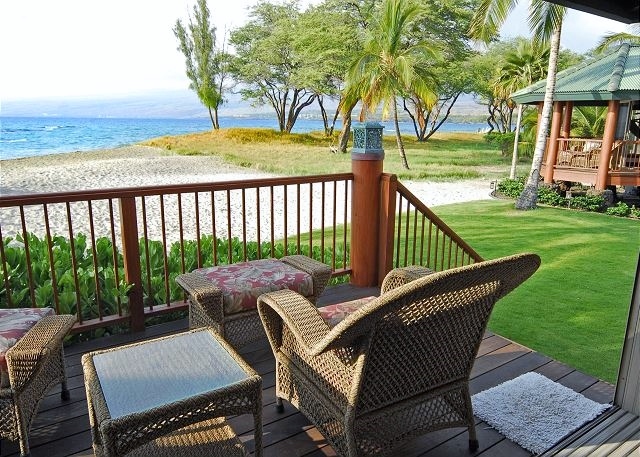 This property is compliant with Hawaii State Legislation (HB2078) for vacation rental accommodation. 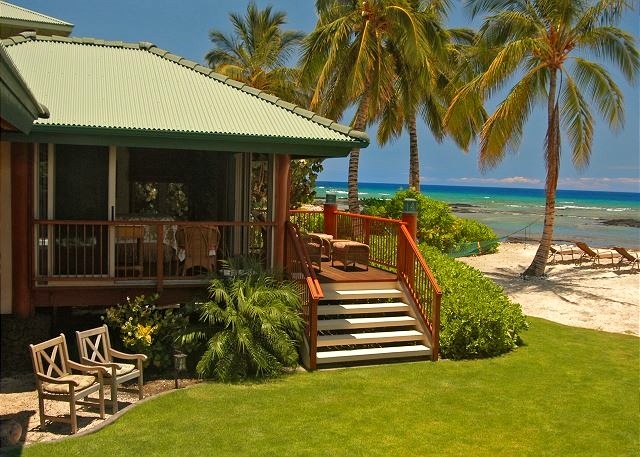 Hula Suite – Oceanfront King Bed, private bathroom including a soaking tub. This suite is suitable for two guests. 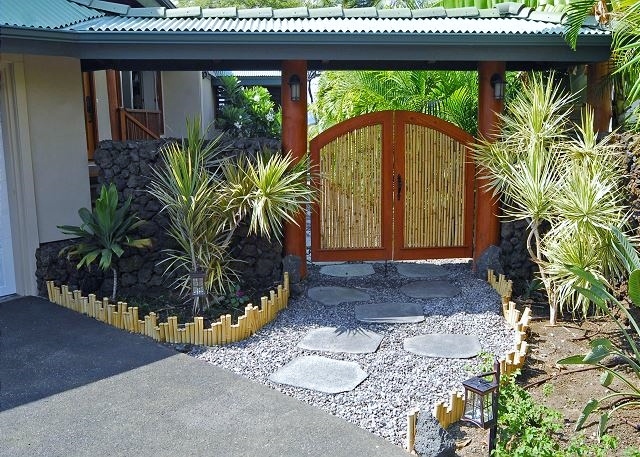 There is a private lanai and entry. 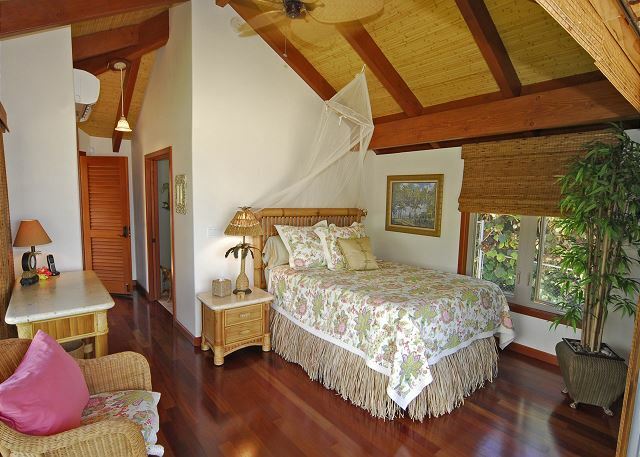 Mango Suite – Oceanfront Queen Bed, suitable for two guests, with private bathroom, soaking tub and over-sized shower. 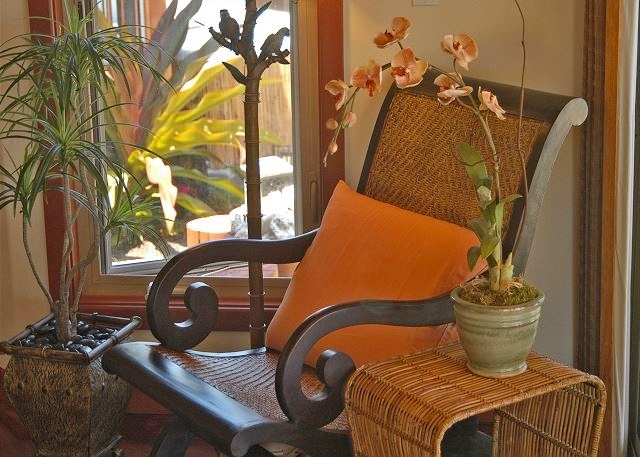 This suite has a private lanai and private entry. 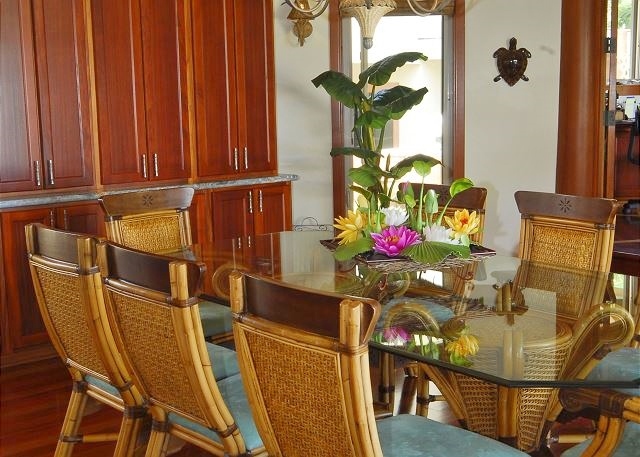 Plumeria Suite – Split level with a King on the lower level and a Queen on the upper level. This suite accommodates up to 4 guests and has a kitchenette. 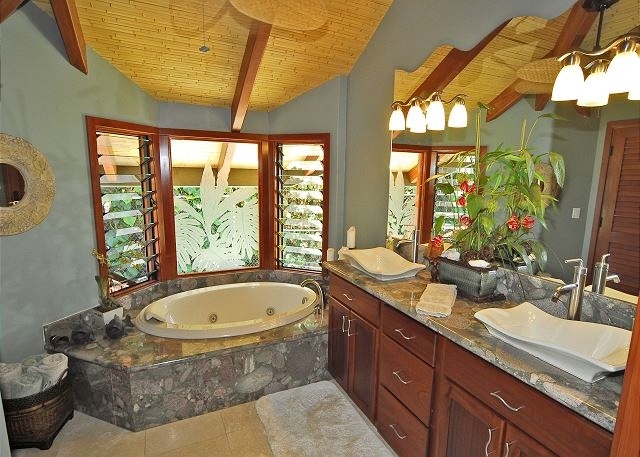 There is a full bathroom with shower and its own balcony/lanai with ocean view. 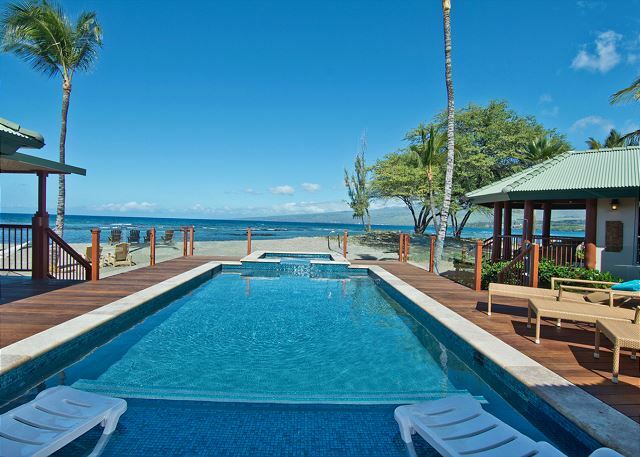 Ocean Ohana Apartment – King Bed, detached from the main house, full kitchen, ocean view, private bathroom with shower, as well as a private lanai.